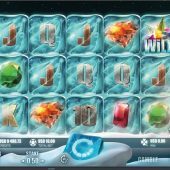 Frozen Diamonds slot is a jewels and gems-themed game that has 20 paylines with 5 reels over 3 rows. It has a slightly bizarre look, where all symbols on the reels are encased in an ice-block, but you soon realize this is a fundamental part of the play. From a wagering point of view I would consider this slot to be low to medium volatility. By triggering the bonus feature within this slot you can activate 5 or 10 free spins with 1-2x multipliers occurring on winning lines. 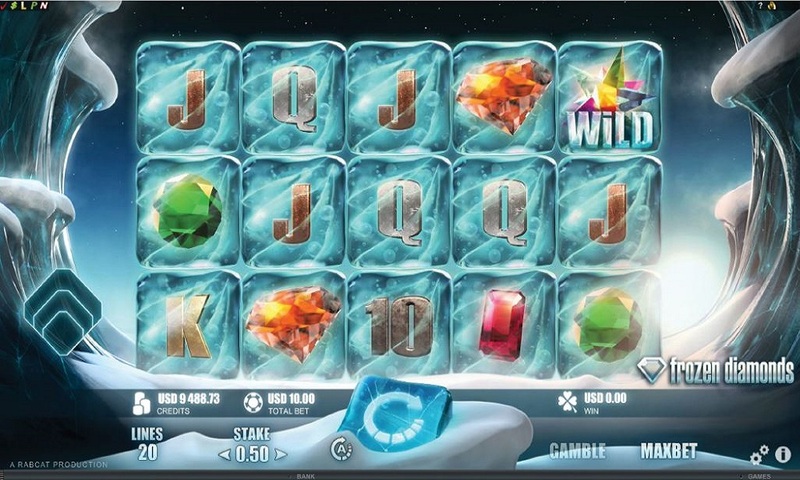 Frozen Diamonds was developed by Rabcat and is available online via PC, tablet and mobile through Microgaming's QuickFire platform. Frozen Diamonds offers a lower-than-expected 50x stake max win per spin, but the RTP is a reasonable 96.47%. The graphics are smart and the futuristic music isn't too distracting, but its hard to see beyond those low winning opportunities. Other games of a similar theme include IFrozen Inferno and Icy Wilds.